As a skin care fanatic, I get asked a lot about the products that I use. Check out our last post 5 Tips for Bright and Beautiful Skin which is part of our partnership with Olay. 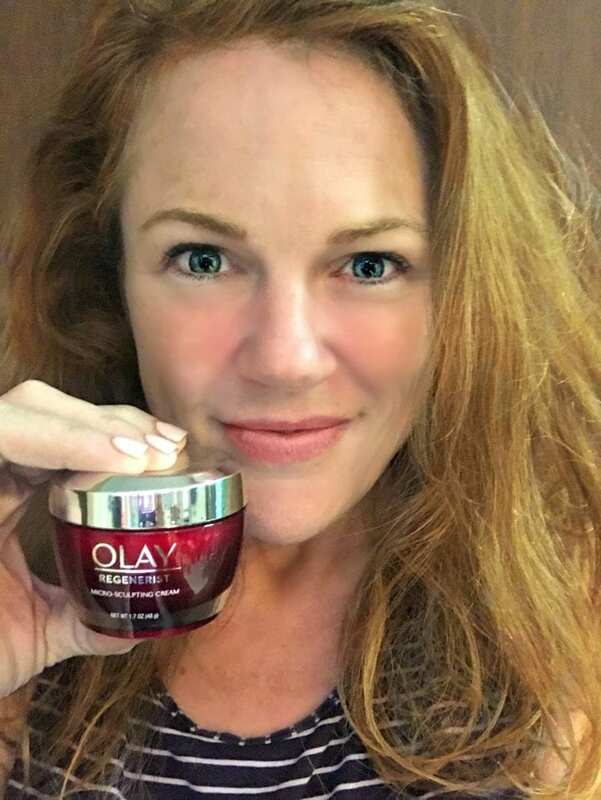 I use an anti-aging cream (Olay Regenerist Micro-Sculpting Cream) at least three times per day. I believe in a lot of moisturizing for my skin and I know that hydrating my skin is just as important. Did you know that quality anti-aging cream in not at all about price rather about performance? I know that there is a segment of the population that shops for skincare products based solely on price. The more expensive, the better the product must be right? Ok…not really. That is just not true. 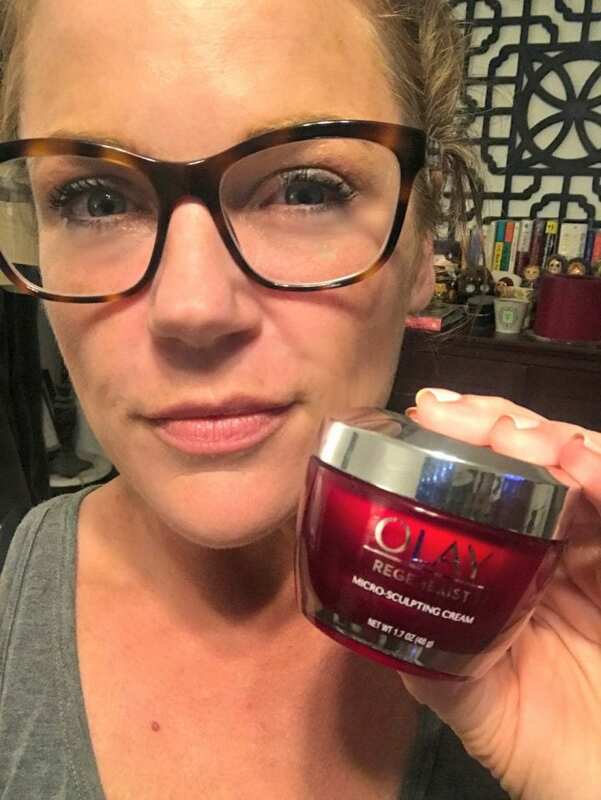 I use Olay Regenerist Micro-Sculpting Cream because it does everything that I need. 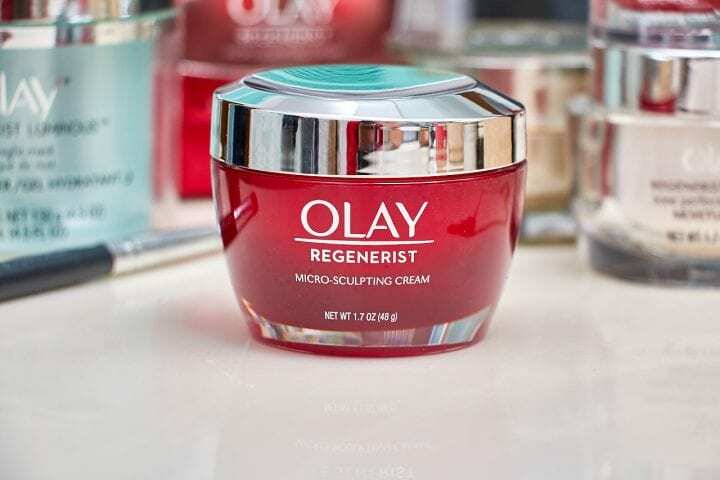 Olay has just introduced a re-engineered formula in the #1 selling anti-aging moisturizer, Olay Regenerist Micro-Sculpting Cream. 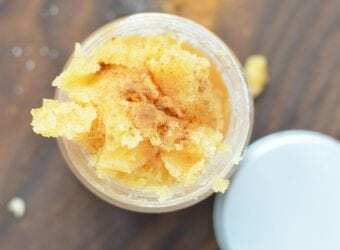 This cream is an integral part of my daily beauty routine because it provides the hydration, moisturizing and plumping that I need to keep my skin looking great at a price point that is great. At 2 weeks, skin is noticeably ﬁrmer and skin elasticity is improved and at 4 weeks, Olay reduces the look of up to 10 years of wrinkles. I think that my skin looks amazing. 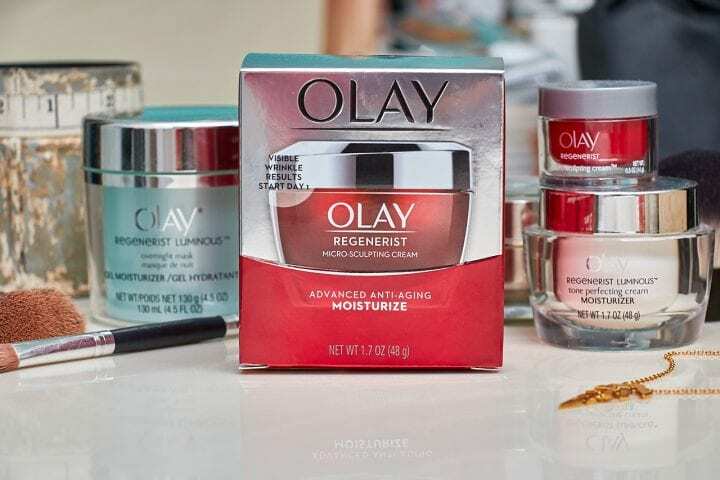 Olay Regenerist is fast-acting. At the three-hour mark, Olay moisturized 400% better than a cream nearly 18 times its price and beat all other products tested. Visible wrinkle results start at day 1 where the appearance of lines are reduced, hydration is boosted and skin is brighter. Olay Regenerist provides long-lasting hydration. 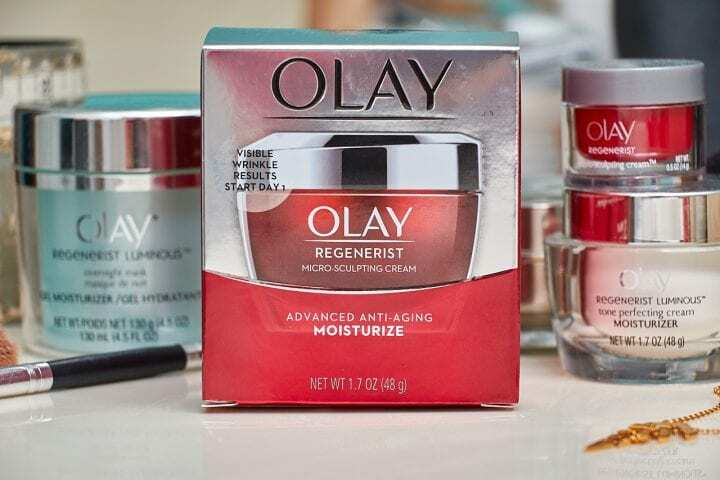 Olay increased moisture by 50% on average over a 24-hour period. Olay Regenerist offers a lightweight texture. In blind comparisons, consumers preferred Olay 80% of the time over expensive creams, reporting that it felt “rich” without being heavy. Olay Regenerist has firming and plumping ingredients. Formulated with powerhouse ingredients like niacinamide and hyaluronic acid, Olay improved skin's texture by 10% in four weeks. Featured Regenerist ingredients: Carob Seed Extract, Niacinamide, Amino-peptide, Panthenol, Vitamin E , Olive and Glycerin. There is science behind why Olay is the perfect choice for your anti-aging cream. 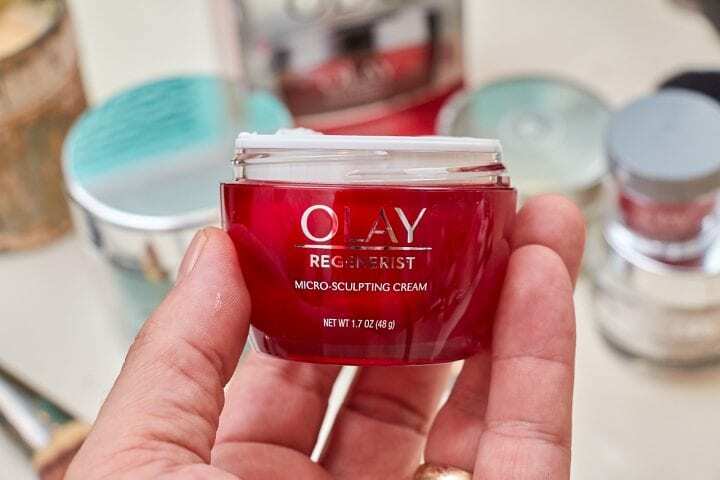 An independent test by the Good Housekeeping Institute showed that Olay Regenerist Micro-Sculpting Cream outperforms 10 top prestige creams, including one with a $440 price tag. You absolutely do not need to spend prestige prices to achieve beautiful skin. A recent Olay study with 155,000 women showed that 80% of skin's anti-aging destiny is within women's control and not related to genes. Olay offers the best possible skin care for only a fraction of the cost. 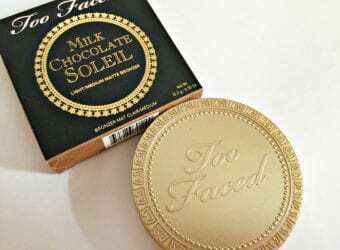 I love silky texture of the cream and how easily it goes onto my skin. 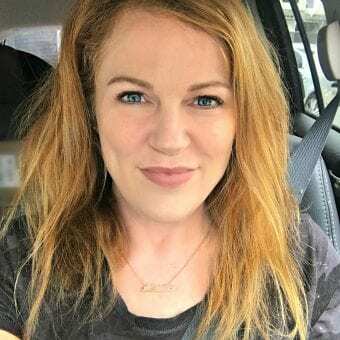 I am thrilled with my Olay results and I think that you will be, too! My fine lines were reduced which makes going makeup free so much easier because I have confidence. My husband noticed after a week that my skin looked brighter plus he said that it was much softer. My wife uses this stuff all the time. I’ve always said that creams like this are just marketing hype, but I can actually see a difference in her skin. I absolutely LOVE Olay Products!!! The whole line is fantastic! I know a few people that use Olay products and they swear by them. Time-tested product, and the people I know look great! As I get older I am noticing that my skin has changed. I haven’t tried Olay yet. 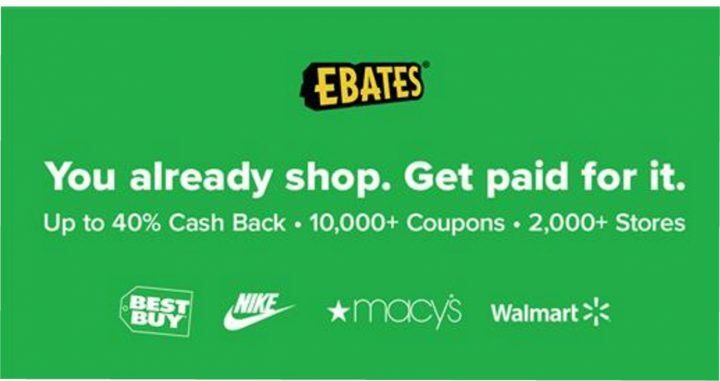 I will be picking some up the next time I go shopping. Those fine lines can be a real nuisance. This sounds like a really helpful cream for keeping your skin in good shape! 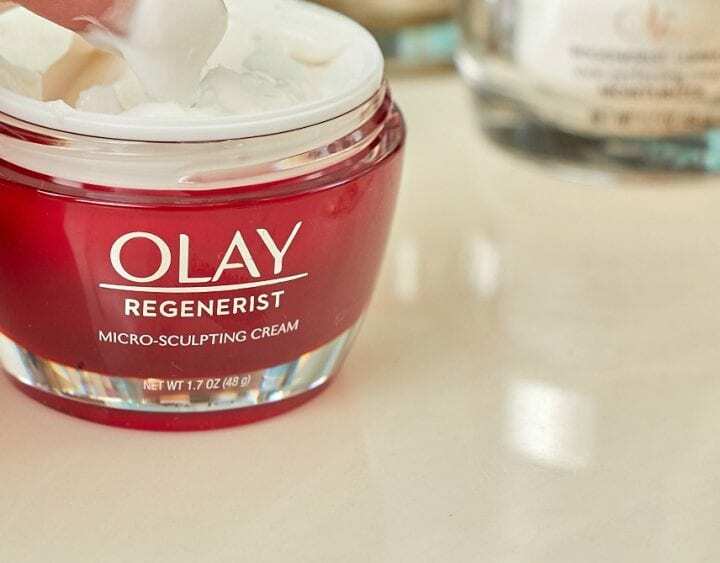 I’m excited to give Olay Regenerist Micro-Sculpting Cream a go! I’ve used Olay on my face for over 40 years and it remains the only thing I can use with my sensitive skin. Thanks!! Ohhh this looks like something I need to add to my beauty routine! Thanks for sharing the benefits. I have read a lot about this product. .I do trust the Olay brand, so I think this is something I should try. I love Olay products! They make such high quality stuff. It reminds me a lot of Clinique, only much more affordable. I have been wanting to try Olay Regenerist Micro-Sculpting Cream. I have had great results using Olay products. Olay Regenerist Micro-Sculpting Cream has made a big difference for my skin. I have only been using it a short time and I love it. What a great brand. My mom and grandma both used it since forever. I love Oil of Olay. My grandmother used it and passed on her wisdom to me. Olay is a great brand, I really love their moisturizers! I think it’s awesome how hydrated and soft your skin looks afterwards! I just love it! Seems like one month my skin is dry and the next month it is full of oil. Olay has always made a great products. Sounds like a wonderful product. We have been using Olay for decades. When I say we I mean my hubby too. He steals it! Your skin looks perfect! You are gorgeous! I have used this product and it does work wonderfully! 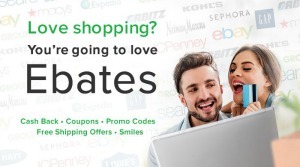 I also appreciate that it is affordable! Olay is a trusted brand, so I bet this cream moisturizer is awesome! I’ll have to try it when I’m out of my other stuff ; ) thanks for the recommendation! I love Olay products! I haven’t tried this product yet, but I’ve been hearing a lot about it lately. I can’t wait to try it. My skin needs some help.. I’ll definitely have to check this out. I have been neglecting my skin lately and I need to find some products to help! This is super cool!! Olay has amazing products!! You have beautiful skin. I’ve been hearing a lot about the Olay Regenerist. I think it’s time I try this. I grew up with my mom using Oil of Olay. The only Oil of Olay product I’ve used is the body wash. This sounds like a great product though! Thanks for such a precious information! I was looking for a good cream so I need to try it! This brand has been around forever and has a great reputation. The before and pictures you showed her amazing the product really does work. I love Olay! I haven’t tried this yet, but I have been thinking of adding it to my nighttime routine. I love your results, so I’ll have to try it out for myself now! I haven’t tried this Olay product! Your skin looks amazing, so fresh and clear! Olay is such an iconic brand, my Mom has been using it for 60 plus years! It really works so well. I am going to be adding in some Olay products into my beauty routine soon. 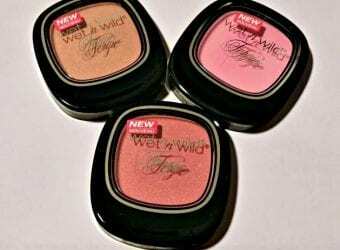 Olay is a brand I love buying from because they really work. My aunt should be an Olay spokeswoman. She’s been using Olay since they first came out and she has the most beautiful skin I’ve ever seen. I haven’t tried this product yet but I’m going to, I’ve read great reviews about it. I love Olay because it works so well with my skin and this new product is something to look forward to! Their moisturizers are great, keeps my skin soft and hydrated! I’ve been seeing great reviews on olay so far. Theyre such a long standing brand thats sooo good. I just turned 35. I have tried hard to take care of my skin over the years. However as I get older, I keep adjusting my skincare routine when it isn’t working. I will have to try this!